Season’s greetings and best wishes for a loving, healthy, and meaningful 2016. With the rush of the holidays upon us all, we decided to forego a full-length blog post this month. Instead, here are a couple of poems we hope you’ll have time to read and share. The poems are inspired by our experiences in Cuba. 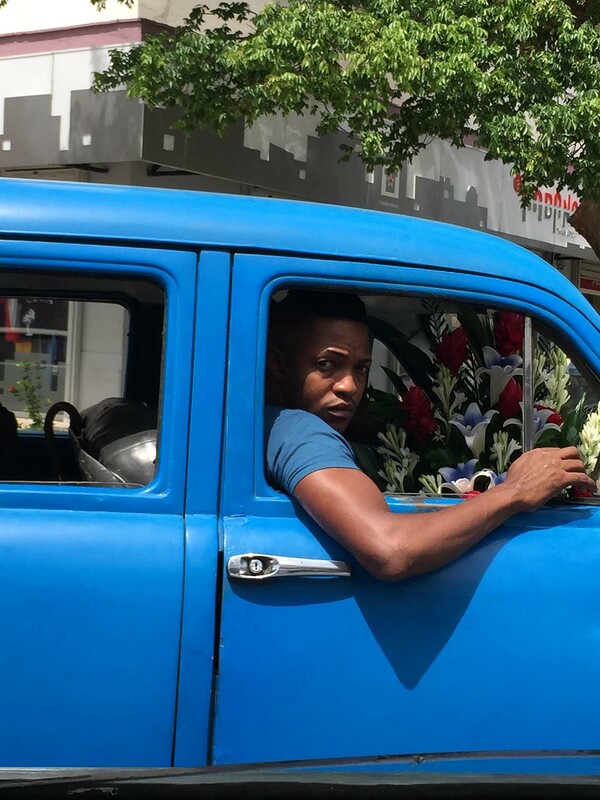 More specifically, we reflect on the themes of leaving and loss that are still a constant echo in many lives of the Cuban Diaspora as well as Cubans on the island. 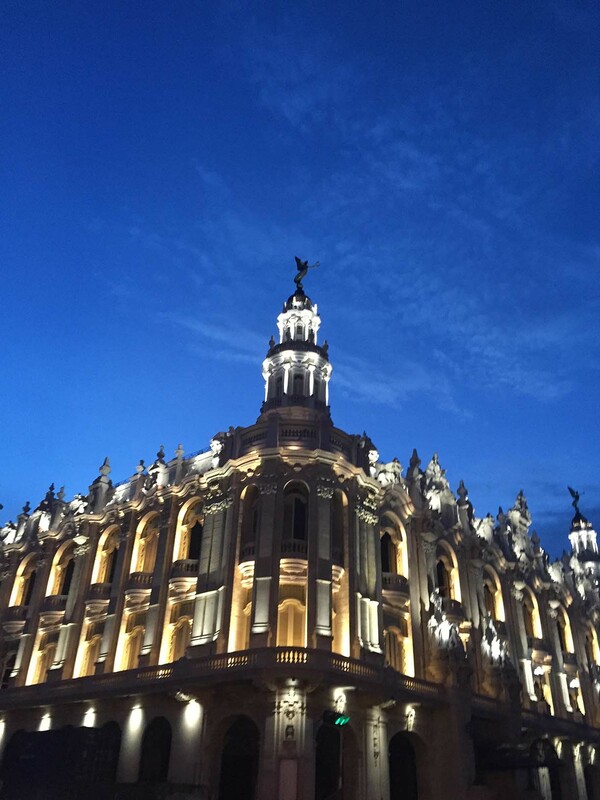 There’s always that last day in La Habana. When I want to fix the city in my memory. I want to take another walk on the Malecón. I want to feel the sea wetting my eyelids. clasping her father’s hand, that little girl who was me, long ago. And I want to hear myself sing along with him, I who never sing. pouring despondently from the sky, as if the world were about to end. the red earth of the island coating her fingers with love. each emerging with thirty eggs, happy, the best of friends. When I want to lose myself in the hustle and the bustle on Calle Obispo. a flower in her hair, showing off, posing for pictures with the tourists. I want to feel the palpitations of my heart after too much sweet coffee. I want to eat an entire plate of ripe plantains, fried in lots of oil. And not worry about a thing. When I want to fill my suitcase with the orange blossoms of the flamboyant trees. in the morning and unbraid it at night before she goes to sleep, forever and ever. All she wants now is for her son, Paco, to return for a visit from Miami. It’s been eight years, much too long, tell him to come soon, she tells me, soon. On Calle 15, where I once lived, the men are finishing their domino game. Around the corner, at the Patronato synagogue, our sacred Torah is safe. We Jews have nothing to fear in Cuba. Estévez has called from Matanzas to wish me a good trip and make me laugh. When I want to still be there, but I know I am already far away. Tomorrow, I will be struggling to find the words to explain how I feel. This is my last day in La Habana and I have left, even before saying goodbye. below your open bedroom window. to my door, blistered and salted, but alive. and the slam of your eyelids forcing sleep. when the neighbors are trying to fall asleep. Poetry has the power of awakening reflections we have kept silent, feelings we’d held deep, protecting us from the response they would demand if acknowledge… in your words those thoughts and feelings have found healing expression, now exposed, I can dry a tear and smile. Gracias a ambos y los mejores deseos para un 2106 de salud, creatividad continua, satisfacciones y descubrimientos. It was extremely powerful to see the goodbyes of people as they were leaving Havana. 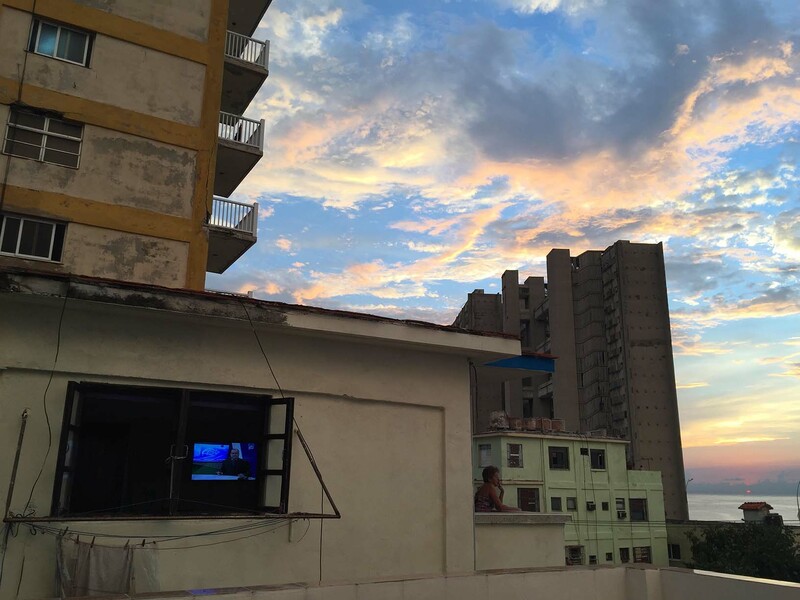 “There’s always that last day in La Habana. When I want to still be there, but I know I’m already far away. Tomorrow, I will be struggling to find the words to explain how I feel. This is my last day in La Habana and I have left, even before saying goodbye.” I think by saying goodbye to something, a lot more memories are revealed. Poetry also has a way of expressing words in a safe place. I really enjoyed reading the person stories about such a unique place.